I thought that if I had lost the pliers I was using before January and had similar products, I did not know the manufacturer of the pliers I used but also the model number I purchased it by seeing the screen. I did not say anything. This review is about item#33051496. The repair of the tap is one thing in this one. Although the point of possession is a minus screwdriver, one side is thinner and you can easily remove the cap of the handle. 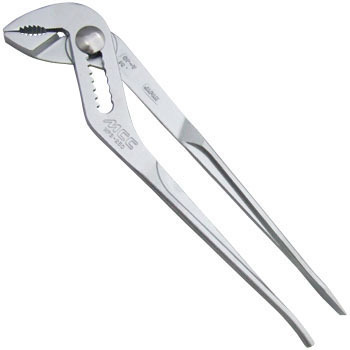 The tool of this hand is useless unless the size matches, so it is uneasy if you do not prepare large items. I think that the balance between price and functional quality is good. Temporary tightening of comparatively thick bolt nut etc. I felt it was easy to use, wasteful, solid build. It is my first time to have a flat head screwdriver on the tip of the handful, so I would like to use it while thinking about future use. Water Pump Plier, "Hybrid Pump Plier"